These awards are based solely on the reviews our fabulous brides, grooms and wedding planners leave for us on these wedding planning web sites. 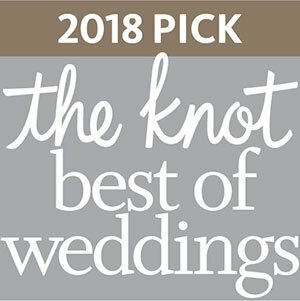 In 2018, only 3% of the approximately 300,00 wedding professionals listed on TheKnot.com have received this distinguished accolade. To determine the winners, The Knot assessed almost 3.6 million reviews across various vendor categories - caterers, venues, florists, photographers, venues and more. 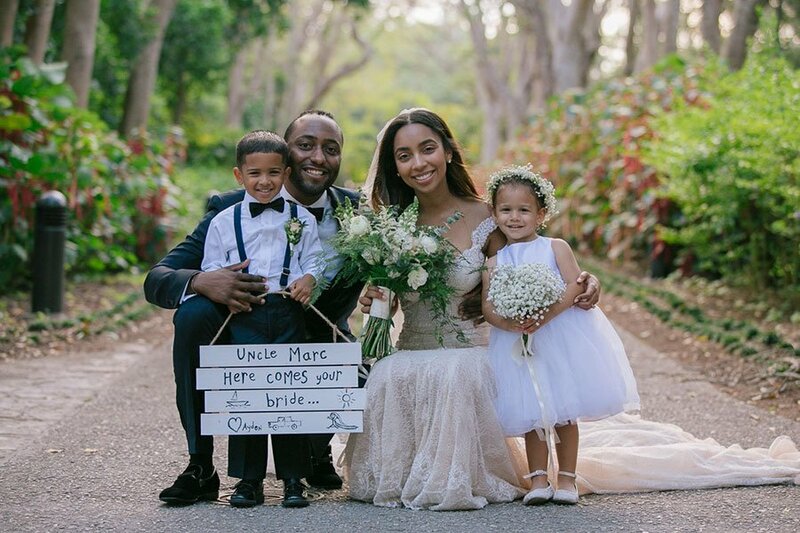 These winners represent the best of the best wedding professionals that a bride and groom would want to consider booking for their own unique wedding. 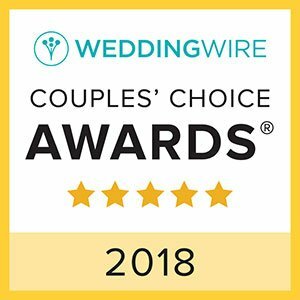 WeddingWire annually recognizes the top 5% of wedding professionals on WeddingWire who demonstrate excellence in quality, service, responsiveness and professionalism. The top local wedding professionals in more than 20 service categories are awarded the prestigious accolade. "This is the tenth year we've celebrated our top-rated vendors who have helped millions of couples celebrate one of the most important days of their lives," said timothy Chi, CEO, WeddingWire. "This group of dedicated and acclaimed wedding professionals, such as Eggwhites Special Event Catering, not only make wedding planning simpler for engaged couples, but also serve as a trusted partner in helping to make WeddingWire the go-to place for wedding planning." We greatly appreciate the kind words and more importantly, the value that these unbiased reviews bring to newly engaged couples so they can hire the very best vendors for their special day. It’s a great feeling to have the quality of our work recognized year after year by the people who matter most – our clients!! We thought we would share with you a few testimonials submitted by brides, grooms, planners in the last 12 months. You can find more testimonials on WeddingWire, The Knot, Yelp and Google Business. "Working with Eggwhites was a wonderful experience from start to finish. The food at our wedding was fabulous! Sarah was wonderful to work with and made the process as easy as could be. The whole team made our wedding a HUGE success!!!" 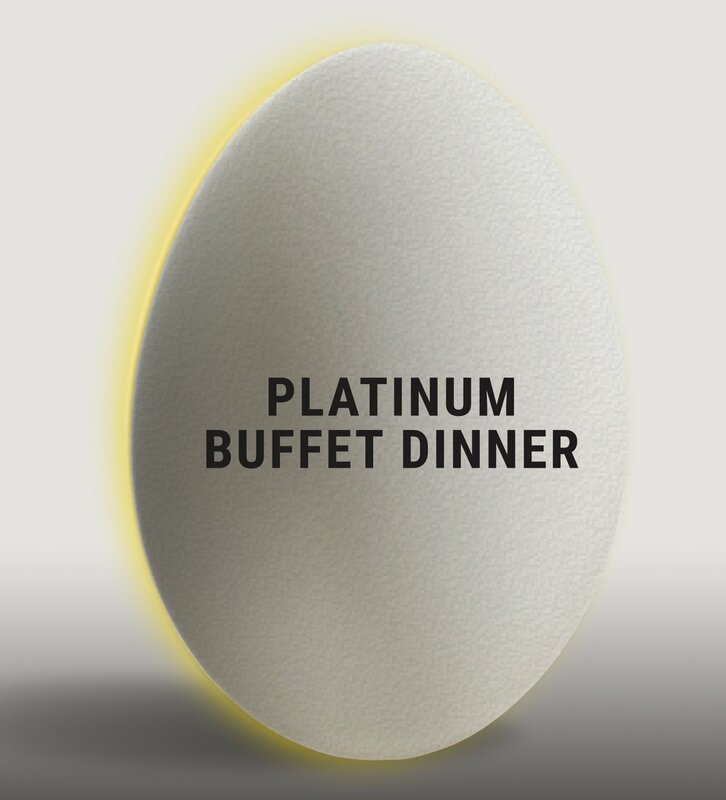 "I have used Eggwhites on at least 7 events in the past few years; they have always exceeded my expectations in terms of excellent service, amazing food, outstanding presentation, and professionalism. So, when my daughter and I started planning her wedding, I felt very confident to have them cater the event, which was going to be at a private rooftop terrace on a high residential building. We knew the logistics would be extremely complicated in more than one way and that we would be in for a big challenge but working with Sarah from the beginning, my daughter and I felt we had "the team" to make it happen. The wedding was amazing! 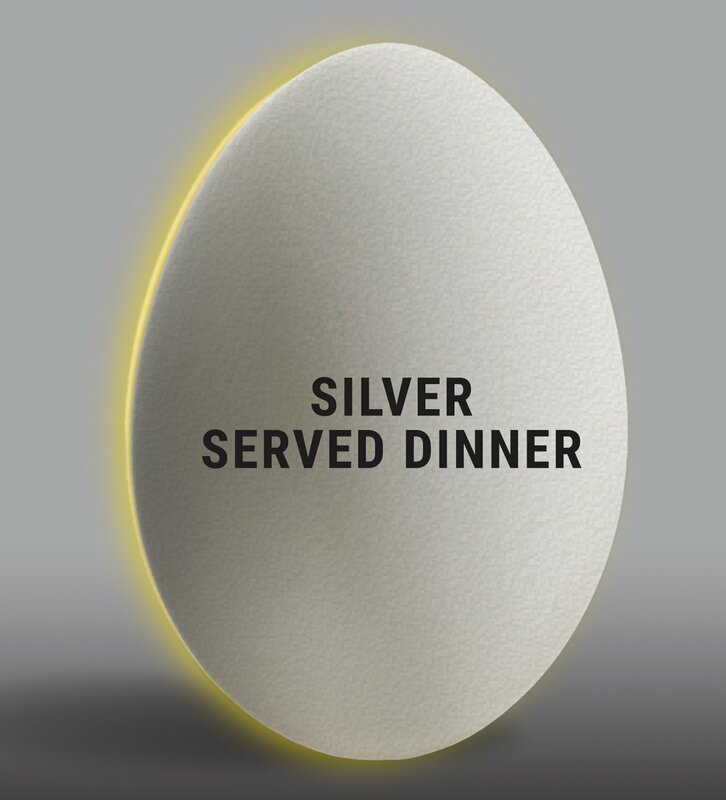 The hors d'oeuvres were delicious and beautifully presented, the dinner was exquisite, the service was outstanding, and everyone on the Eggwhites team was extremely helpful and professional. Sarah demonstrated vast experience in handling the complicated logistics; she had an amazing problem-solving attitude and was engaged in helping in every way, making sure the event was a real success! Once again I am grateful to Eggwhites for their immaculate service!" "Deciding to have Eggwhites cater our wedding was one of the best decisions we made during wedding planning! Our guests raved about the food - some even told us we had the best hors d'oeuvres during our cocktail hour. I knew the food would be great from our tasting, but we were really blown away by the presentation of everything. Sarah and the rest of the Eggwhites team helped in making our wedding planning fun and enjoyable. From our initial phone call, to our tasting, to the countless emails and texts leading up to our wedding, Sarah proved to be an absolute rockstar - totally meticulous and knowledgeable. I was admittedly clueless about a lot, but Sarah patiently provided great advice and guidance. She was more than just the catering manager for our wedding; she really facilitated all of the moving parts, and the whole team played a large role in making sure our wedding was exactly what we had envisioned. We can't thank everyone at Eggwhites enough!" 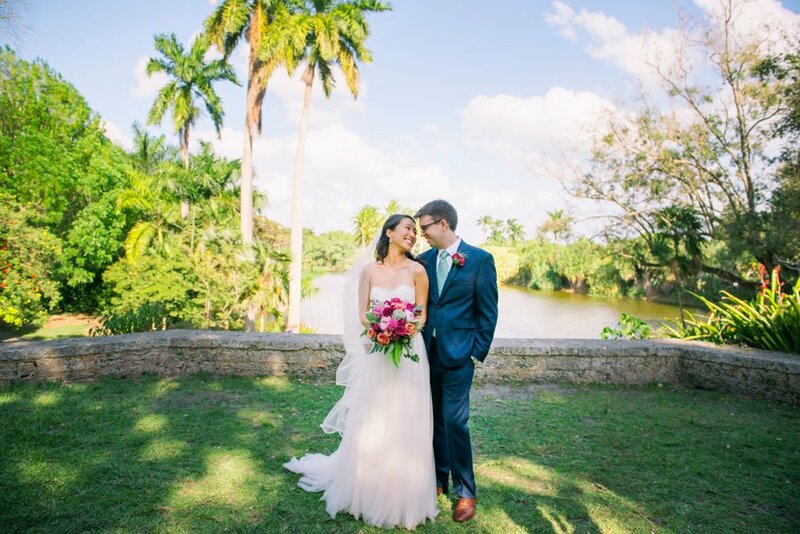 "Eggwhites did an amazing job for our wedding at Deering Estate!! Everything turned out just as we dreamed ... the food was delicious, the tables were set perfectly, our cake was SOOO BEAUTIFUL, and the service could not have been better. Sarah is awesome to work with. She always went above and beyond and made sure that all my family and friends were taken care of. She was also extremely patient and responsive during the planning stage. THANK YOU for making our wedding day one to remember. My husband and I are super thankful we chose you to be our catering company." "So grateful to the whole Eggwhites team for making my wedding day a success! The tables, chairs, silverware, set up was beautiful and the FOOOD, oh the food was divine! The food the day of was exactly, if not better, than the food at the tasting. Everyone still talks about the passed hors d'oeuvres at my wedding! As I was taking my photos one of the servers was right by my side to make sure I was fed as the bride. Thank you Sarah and the whole Eggwhites team!! Forever grateful!" "Eggwhites was excellent! We highly recommend working with them. We got married 1 month ago and had a very specific and different vision for our wedding. Eggwhites was receptive to our wishes and helped guide us in the right direction. We are grateful for their excellent customer service and patience working with several different people in our wedding party. They were always agreeable, solutions oriented and everything turned out perfectly. We decided on a buffet with several stations. The food was excellent, stayed hot throughout the evening, and was perfectly timed for our plan. Additionally, Eggwhites provided the tables, linens, silverware, etc and the table settings looked exactly as requested. Sarah Lampner was wonderful to work with. She was punctual, persistent, and kind. All good things when planning a wedding! Again, we highly recommend working with Eggwhites for wedding catering. The staff is reliable and the food is high quality!"